There are lots of advantages to living in the modern era. Take dental care for example. New technology enables your dentist in Mount Pleasant to offer not only better outcomes but an improved treatment experience. Case in point: Cone Beam imaging technology, which allows dentists to take 3-D images of the patient’s teeth, jawbone, and soft tissues. To understand why Cone Beam imaging is a better approach than old-fashioned X-rays, ask yourself this: why are 3-D movies all the rage these days? The reason is that a flat 2-D screen can never capture the experience of looking at an object in its full three dimensions. Now apply this to what dentists are doing when they take X-rays. They’re trying to find out what’s going on beneath the patient’s gumline. But traditional X-ray images cannot reveal everything that’s important for accurate diagnosis and treatment. For example, dental implants in Mount Pleasant require that the supporting bone have a minimum degree of thickness, something that’s hard to gauge with old-fashioned tools. Cone Beam technology avoids this dilemma by creating 3-D images of the teeth and jaw, of bones as well as soft tissues. Not only does this tell the dentist exactly what’s going on inside the patient, it makes treatment both more efficient and more effective. See why dental professionals are so excited about this leapfrog advance in imaging technology? There are no special preparations needed for undergoing a Cone Beam imaging scan. You should wear loose, comfortable clothing. You may be asked to leave jewelry, hairpins, piercings, or other personal accessories which contain metal at home. You will need to remove your eyeglasses and dentures for the scan. The device will slowly rotate around your head while you relax in either a seated or prone position. It will create thousands of individual “slices” of data that the computer will assemble into a three-dimensional image for your dentist to review. 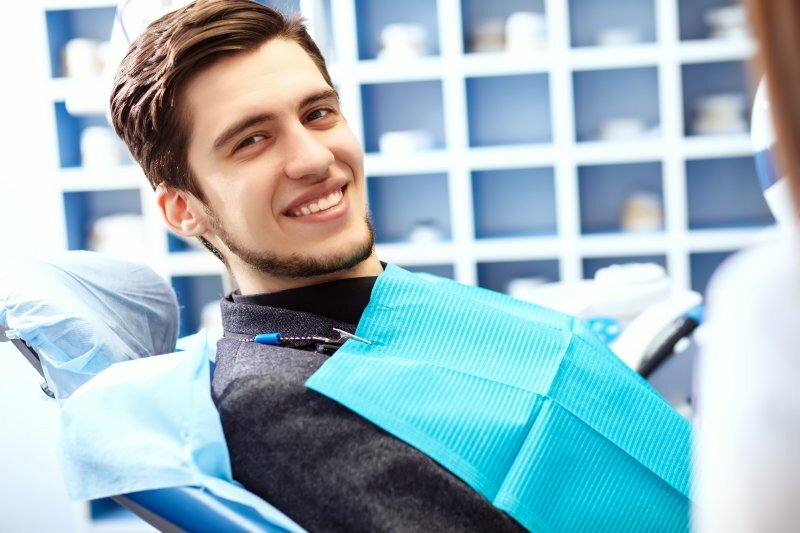 The experience is painless and you can resume your normal activities immediately after the appointment. Cone Beam imaging uses the minimal amount of radiation necessary to create the images. The radiation does not remain in the patient’s body afterwards. Cone beam scanning is remarkably safe and comfortable for the patient. Cone Beam imaging is just one example of how modern digital technology is transforming the world of dental medicine. Another example is intraoral cameras, which allow the patient to see everything the dentist sees during exams and treatment. In cases where traditional X-rays are called for, new digitally based devices achieve superior results using only a fraction of the radiation once required. In this post we’ve only scratched the surface of a fascinating topic. Ask your dentist about all the exciting innovations that are transforming the world of dentistry for the better. What you learn will have you smiling in no time. Mount Pleasant native Dr. Robert Sikes has devoted his life to improving the lives and the smiles of the people in our area. Dr. Sikes earned his DDS degree from Baylor College of Dentistry and has been practicing for over 30 years. You can reach his office online or by calling (903) 572-9720.